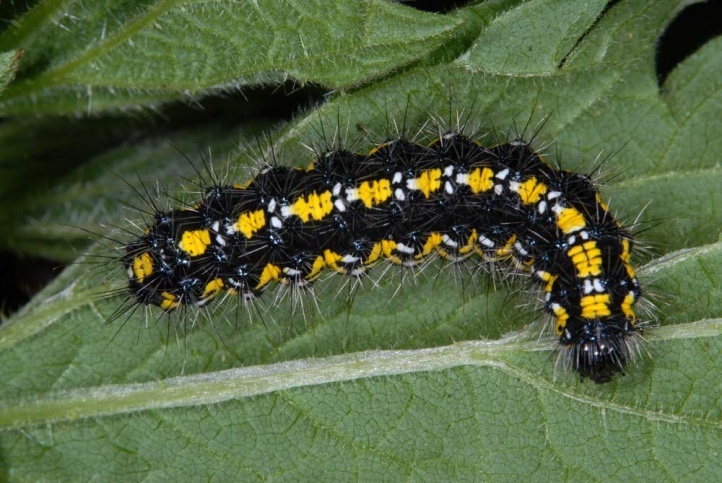 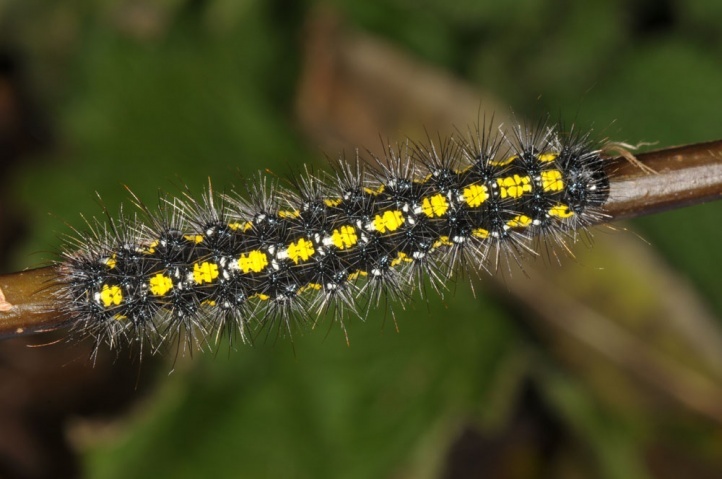 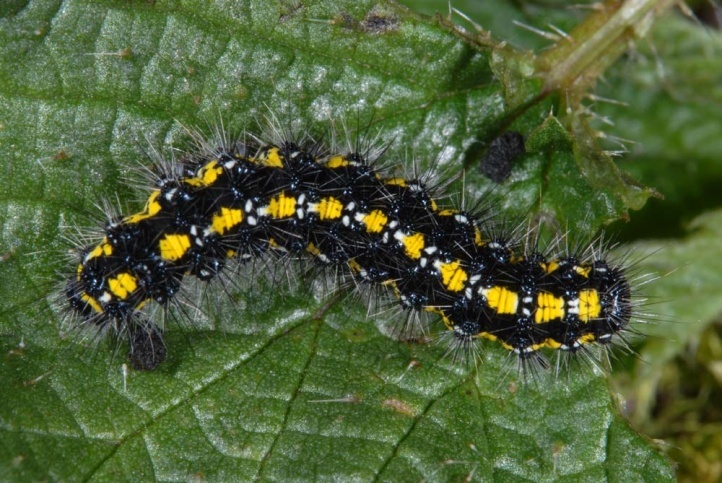 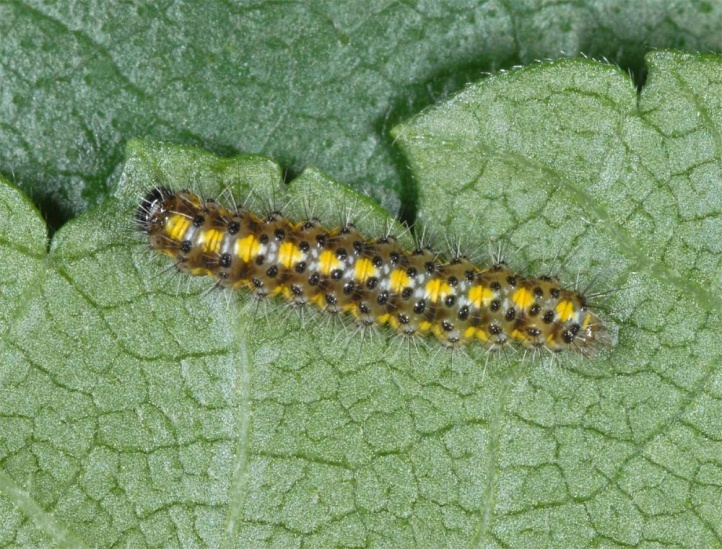 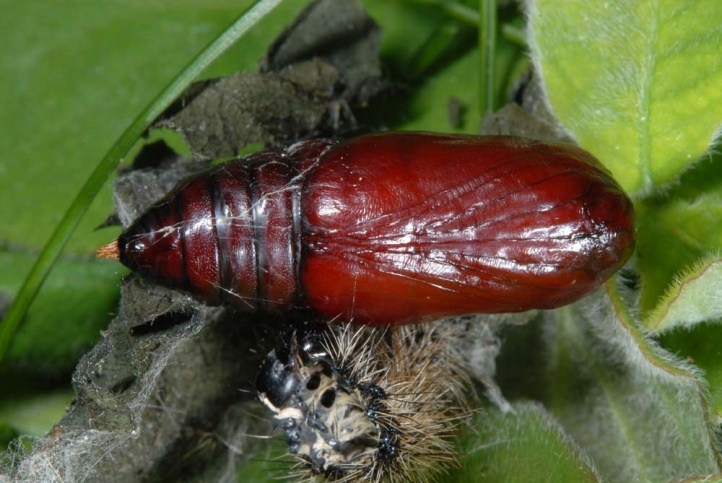 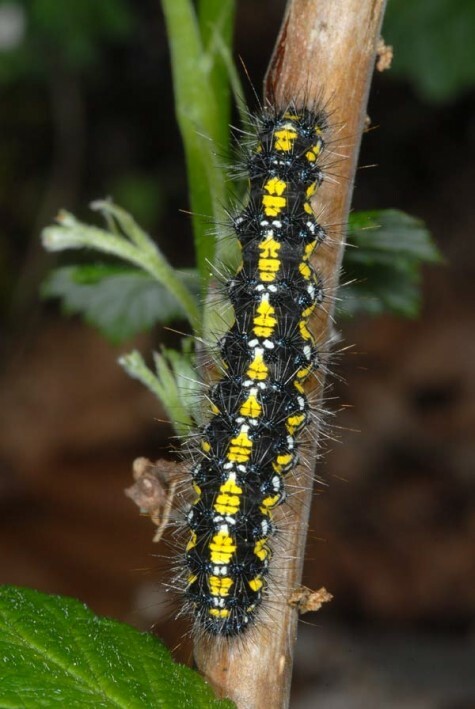 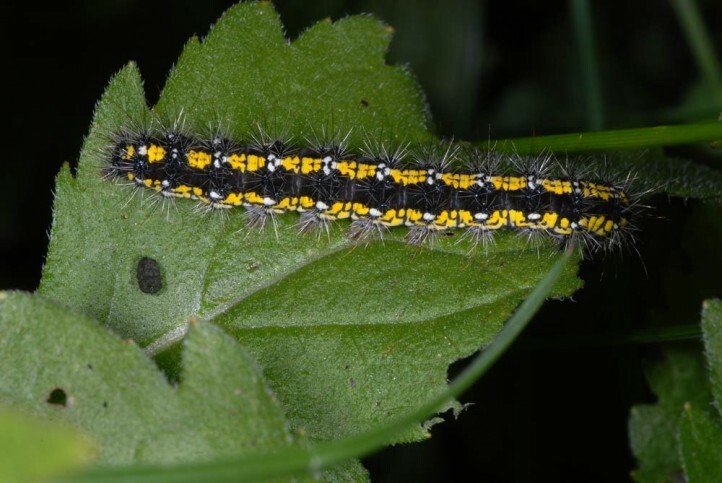 The caterpillar is polyphagous on herbs and lower parts of deciduous bushes and trees, but it is feeding very often on Urtica dioica, Cirsium palustre rosettes and Myosotis palustris. 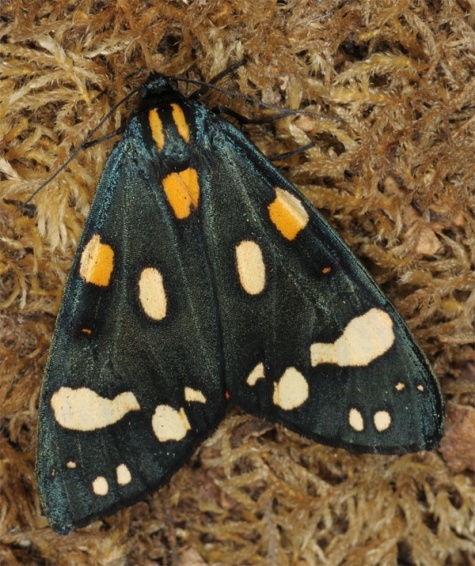 Callimorpha dominula inhabits humid clearings in wet forests, bog margins, ditch edges, stream edges in the forest area and clearcuts. 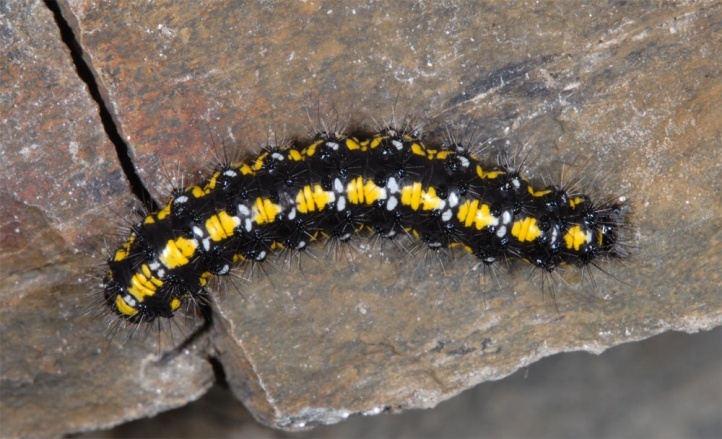 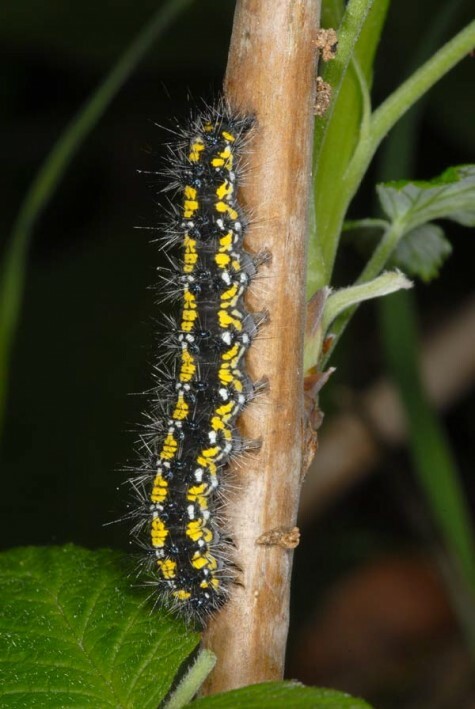 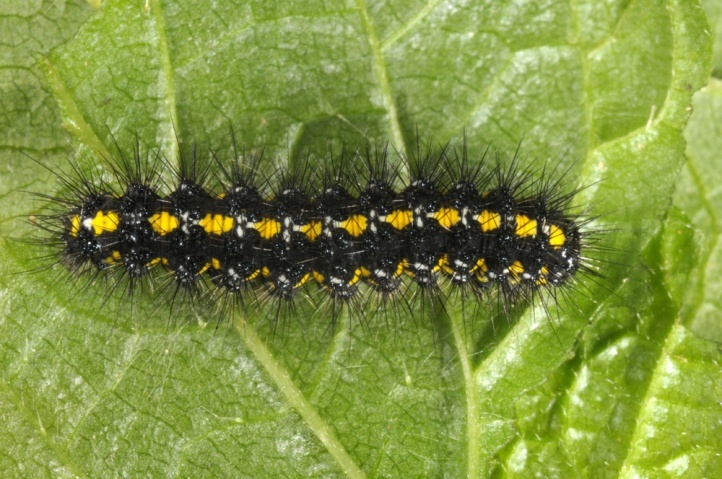 The caterpillars are found especially along ditches. 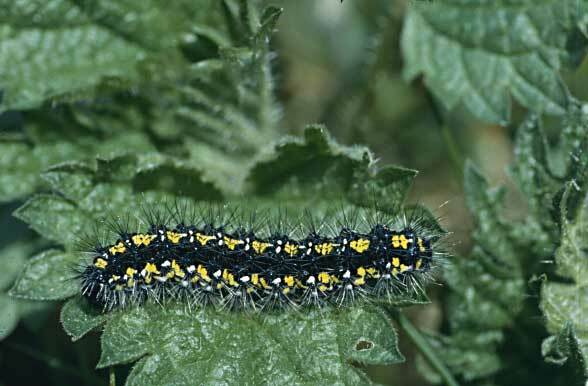 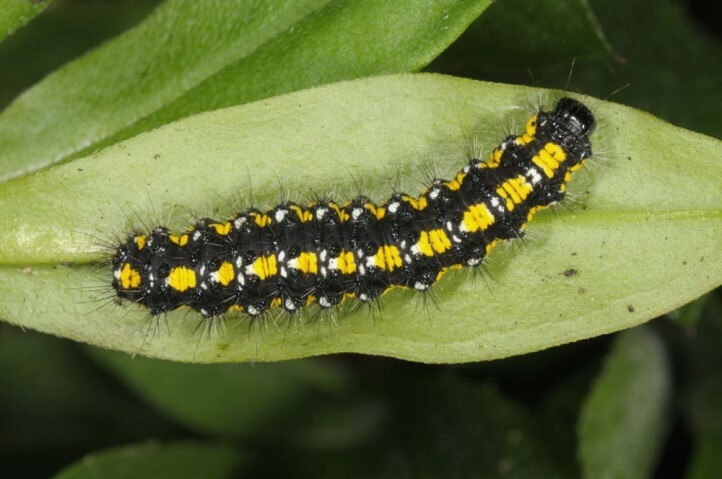 The caterpillars are very noticeable from September to November and again from late February to late May/early June when often several larvae sit on Cirsium rosettes and other host plants. 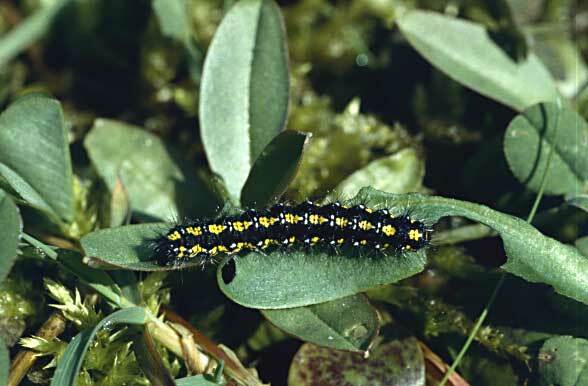 Later, they also climb up on shrubs such as Salix caprea. 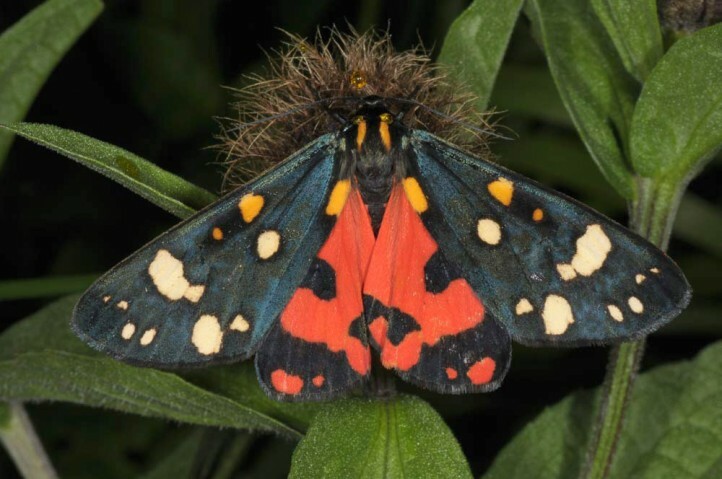 The moths fly during the day in the sunshine in June and July and visit flowers (thistles). 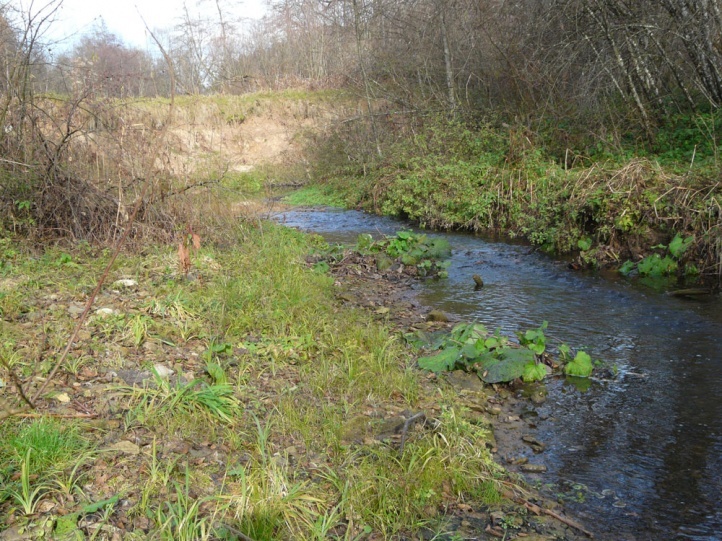 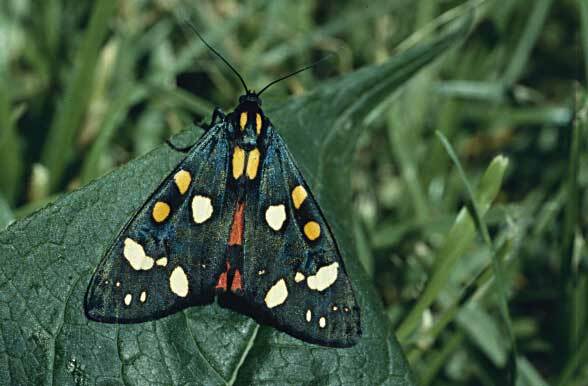 Clearings are planted in too fast and too close, so that they are lost as reproduction habitat too quickly. 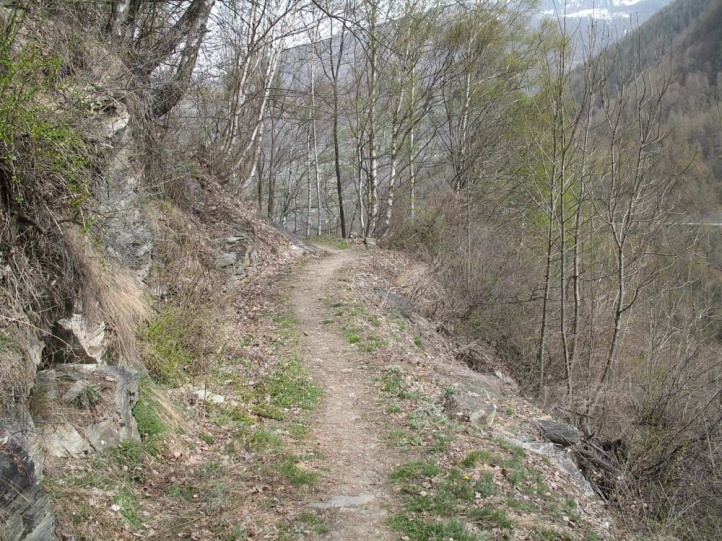 Unfortunately, nonsensical laws (reforestation obligation for example in Germany) are complicit for this development. 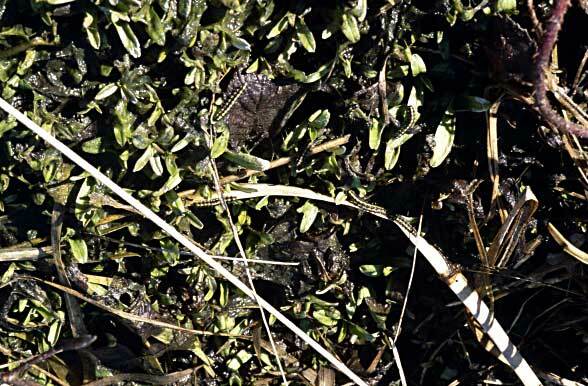 Besides, canalized streams etc. 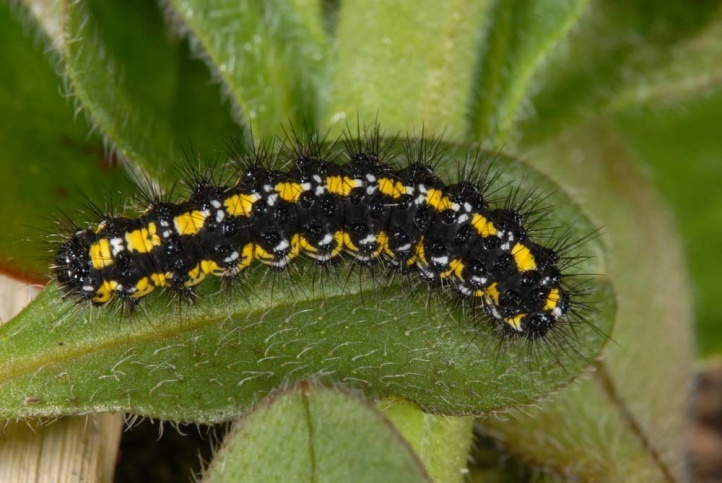 provide little suitable habitat. 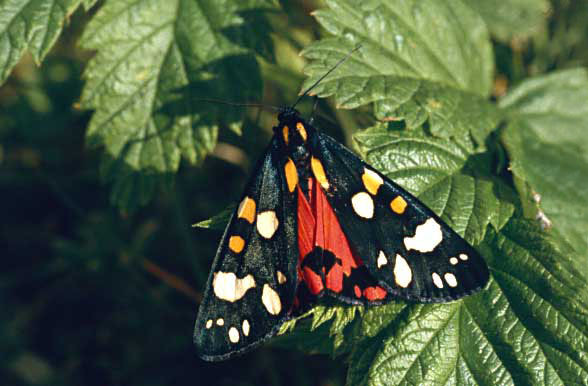 Thus Callimorpha dominula is in decline in many regions. 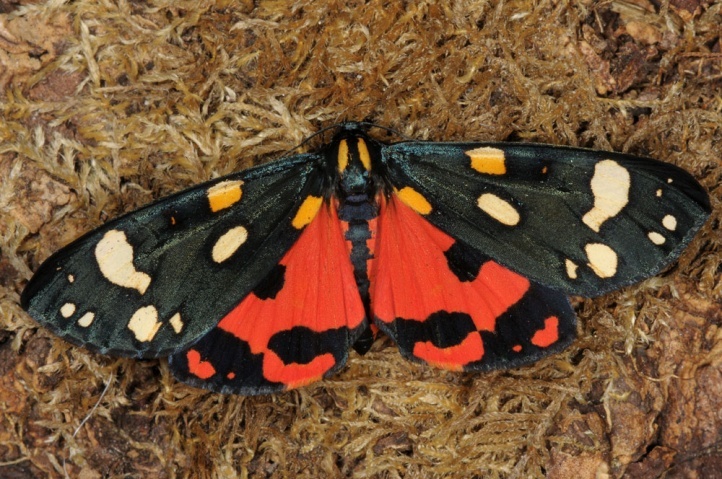 Callimorpha dominula is still quite common only in a few humid regions such as the Ticino and the German Alpine foothills. 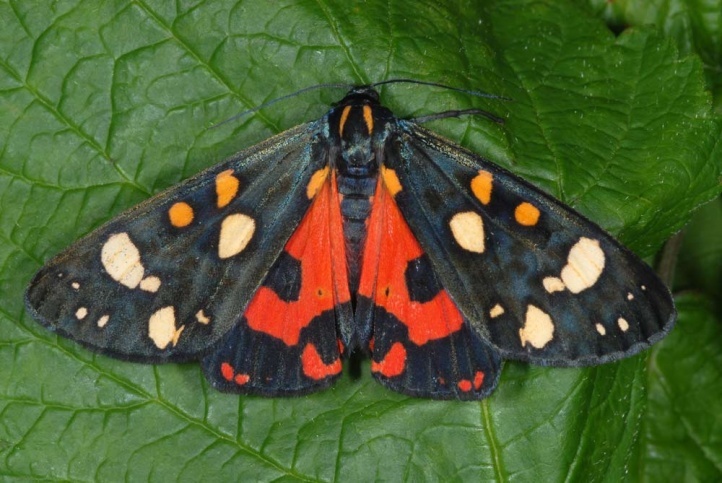 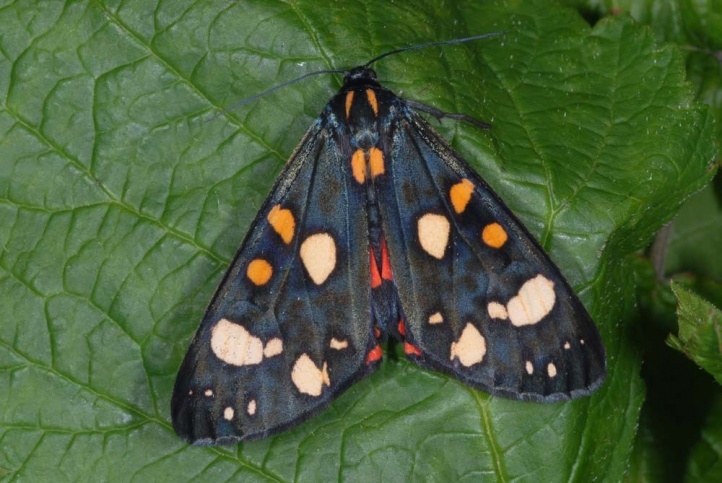 Callimorpha dominula is distributed from Northern Spain across parts of Europe (to the north to about Sweden) to Russia (Urals) and the Middle East (Iran).